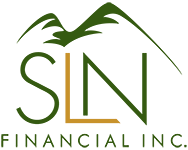 September 22, 2015 - Protect Yourself From Insurance Fraud | SLN Financial, Inc.
Insurance-related Identity theft is a major problem in United States. Estimates suggest that life insurance fraud costs tens of billions of dollars each year. (1) Fraudsters can use sensitive personal information to make fraudulent claims, steal benefits, and open accounts in your name. Many of these frauds specifically target the elderly, who may be more vulnerable to sophisticated scams. Calling you to tell you that you are the beneficiary of a life insurance payout and requesting a Social Security number and financial account information to deliver the proceeds. Calling or emailing to inform you your life insurance premium is overdue or your policy has been cancelled and requesting financial details to process a payment. Calling to confirm the new details of a life insurance policy and requesting a Social Security number or other sensitive information. Scammers hope to gain valuable personal information to sell or use themselves for fraudulent purposes. If you receive any calls like this, it’s best to ask the caller for a case number or employee id and then to hang up and dial your insurance company directly using an official number. A more dangerous scam involves fraudsters using personal information to make themselves beneficiaries of a life insurance policy and then submitting a fake death certificate to claim the benefit. Always shred statements, bills, and other documents that contain account numbers and personal information before throwing them away. Many scammers dig through trash for valuable scores. Never give out personal information to an unsolicited caller. Ask for a case number and call the company back directly using an official phone number. Never click on links in an email from a financial or government institution. Often, these links will attempt to capture personal information to be used in a scam. Always call or email the institution directly for more information. Be especially wary of calls or emails that claim your policy has been cancelled and that a credit card payment is required to reactivate it. Always call your insurance company directly to confirm. If you ever have any questions about protecting yourself from identity and insurance fraud, please call our office and we will be happy to discuss your concerns with you.